Customize your workstation for the perfect user environment with an extensive range of height, tilt, pivot, stroke and swivel monitor adjustments. When using the display in a vertical orientation, the monitor's smart screen orientation detector will auto-pivot screen contents so you can enjoy viewing pictures in its full context. 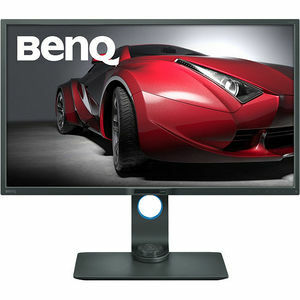 BenQ's Low Blue Light Technology is designed to filter out harmful blue light, effectively diminishing eye fatigue and irritation.